Citroen's C3 is one of the core products in the company's range, having acted as the basis for several spin-off models as well as being a commercial success in its own right. It stays largely the same for 2013, but the big news is a raft of new engine technology that massively reduces the car's environmental impact and running costs. 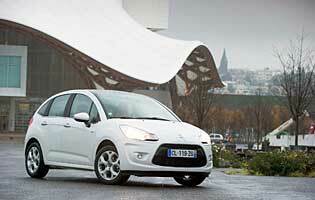 The C3 is a stylishly modern and cheeky supermini with a lot going for it. Its looks have been mildly revised, making more use on the higher trim levels of chrome-effect bodywork details to accentuate its lines and character. It also has certain features as standard on this trim level that mark it out from most other small cars. The extended 'Zenith' windscreen runs above the front seats to provide a much more airy cabin environment but at the same time promises a higher bill if it should ever crack. The five-door-only body reveals the C3's designs on buyers for whom the rear seats are important, and fittingly it has always been popular with parents of young children. With so relatively little changing from the preceding model year the focus is on the new petrol engines, which promise much improved emissions and fuel economy. Having moved down to three cylinders, the VTi unit has more character among unilateral improvements. 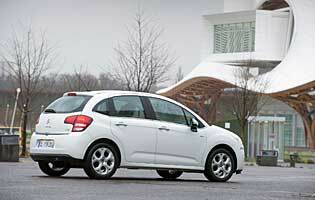 It suits the C3 particularly well, but is also destined for several other cars in Citroen's range. Tangible benefits will be seen at the filling station but the bonuses that the engine has brought, alongside simple aesthetic changes and refinements for the new model year, boost many elements of the driving experience. 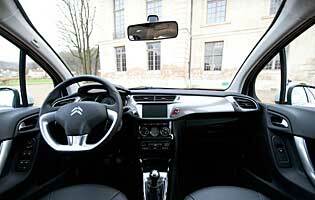 In general the C3 seems a cheerier place to be, although there are still one or two shortfalls in specification. 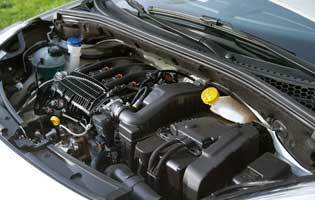 The heart of any car is its engine and the C3's powerplants had begun to lag behind the industry leaders. The new VTi units including this one have given a much-needed improvement in key areas that really matter to buyers. The C3's traditional driver-friendliness combines with the high-tech updates to create a package that feels fresher than most of it really is, which is testament to its appeal.